The web is full of valuable information. And it’s not free. Think of a downloadable resource created for your ideal customer. Maybe it’s an eBook about DIY plumbing, a software training video or a mortgage calculator. Premium content is a free, downloadable offer that prospects trade their contact information for. We all want leads to rain down from the sky. Buying expensive ads and building fancy websites won’t make that happen. Get your magical lead rain by being there to help people when they have a problem. Then, make an offer they can’t refuse: free content for a little personal information. That’s how you earn trust and prove you know what you’re talking about. Awareness: Showing buyers how to solve a problem will help you to reach them when they first begin searching for answers. Consideration: Help your buyer confidently weigh their options for solving their problem. Decision: Explain exactly what they’re about to buy, so they easily can place an order without unanswered questions.text that should be updated. Then, we’ll balance the social currency, ensuring that the value of the content will have the same value as the questions you’ll ask on the form required to download. Our scientific format for calculating this is: Better Content = More Info. Then, we’ll balance the social currency, ensuring that the form requirements and the offer, are of equal value to both parties. Once you’re excited about a concept, we’ll get to work, using research, data and interviews to write, design or film something completely original on behalf of your company. After you’ve been given the opportunity to provide edits and feedback, you’ll receive the polished, finished product, ready to launch. As a bonus, we’re awesome at premium content and use a tight process that leads to fast turnaround times. Collaborate with our team to create fun content that makes you look like a helpful hero, while you’re feeding the sales pipeline. 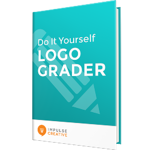 Many times people believe that once they have a logo their brand is done, that is not the case! It’s important to understand that a logo is only one element of a company’s brand.